Mallard Masters Championship – Hunting: the ultimate goal. We are so happy to announce that we are returning for the 3rd annual Mallard Masters Championship in Augusta, AR. 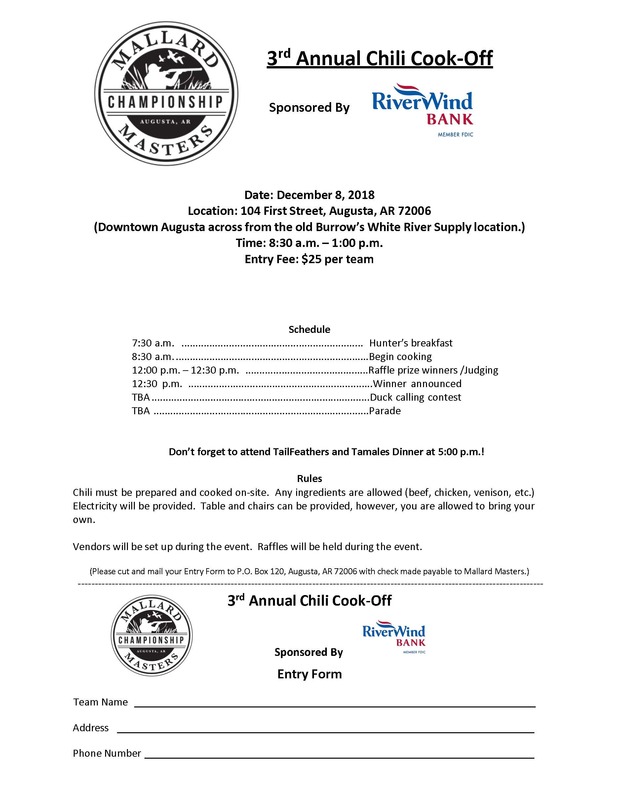 In addition to the duck hunting tournament, we will also be hosting a chili cook-off! Click the image below to download and print.